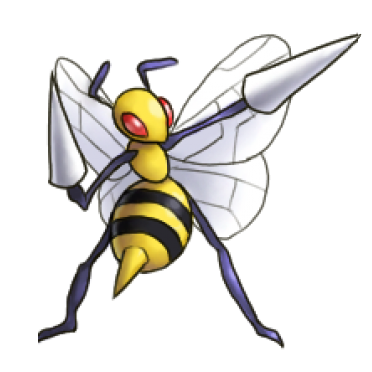 Beedril is dual type Bug and Poison Pokemon that evolves from a Kakuna and eventually evolves into a Weedle. Beedrills look like a hornet or a bee. 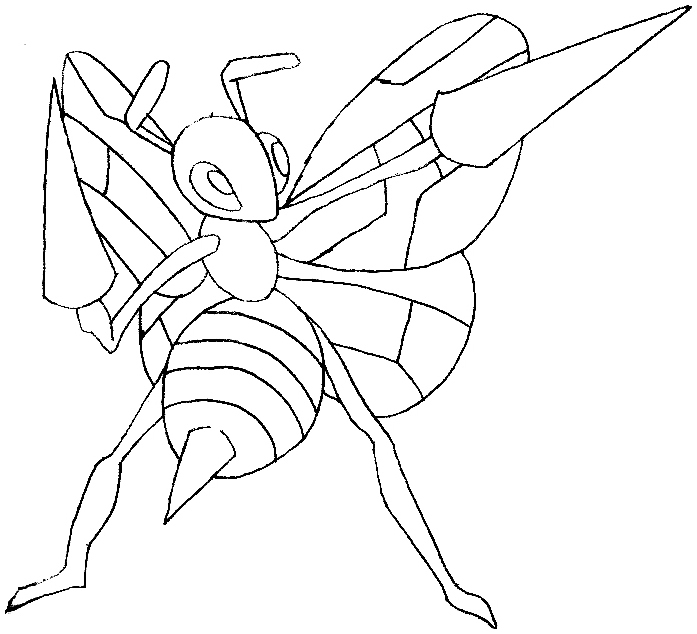 To learn how to draw a Beedrill, follow the upcoming step by step drawing tutorial. 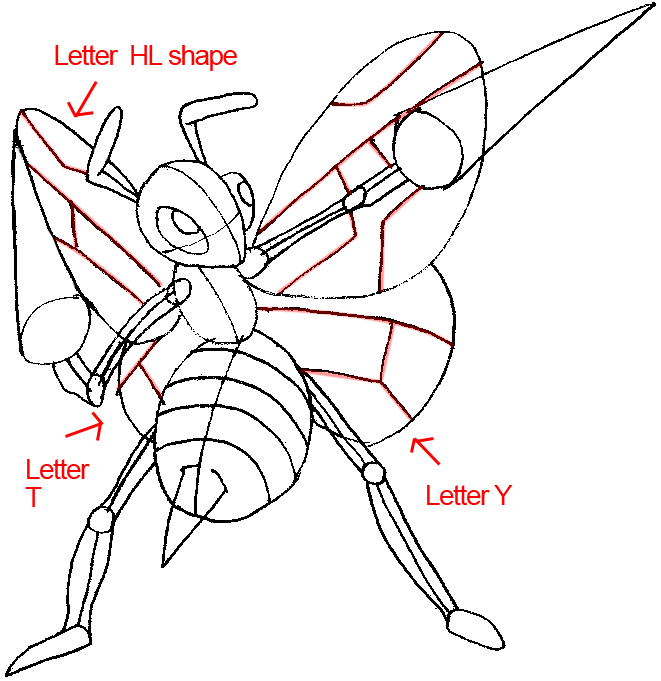 We have broken down the shapes of the Beedrill into basic geometric shapes. Start off with a lollipop shape with a cross section but draw the head in a teardrop shape. This will serve as your guide to where the facial features will be placed. 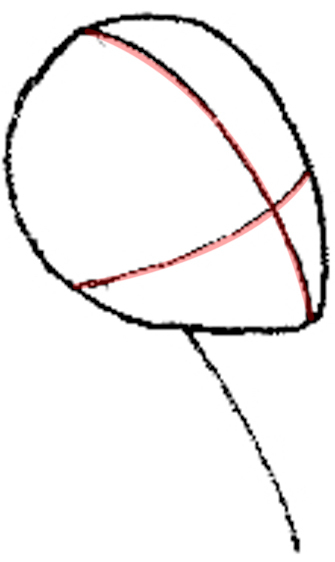 Draw a small circle for the torso, and a large oval for the bottom. 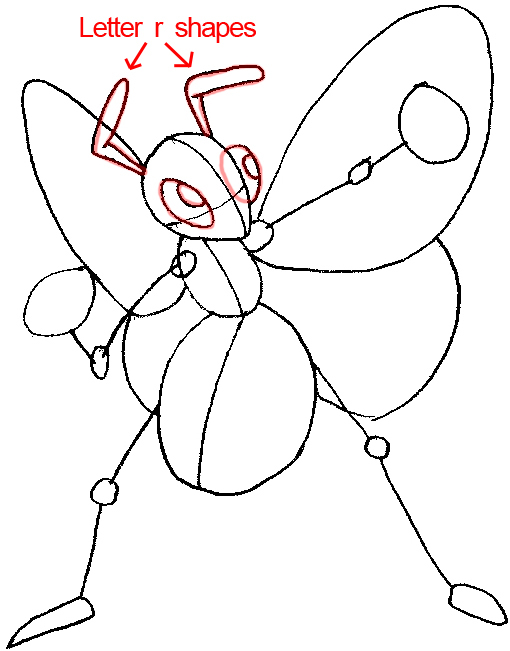 From here, Beedrill should look like an ant. 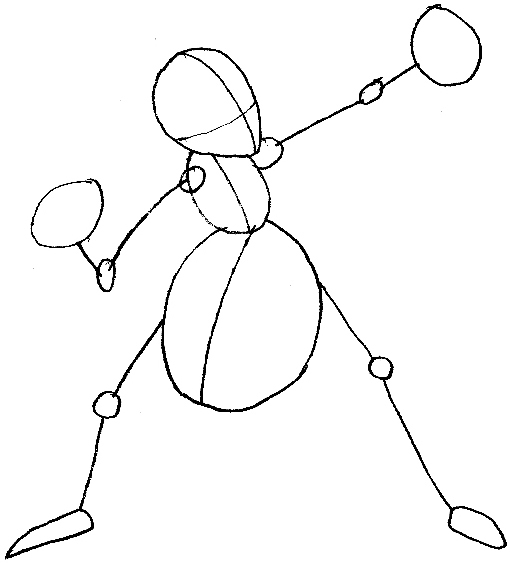 Draw some guide lines for the arms. Draw some guide lines for the legs. The legs should start off from the upper section of the large oval near the torso. 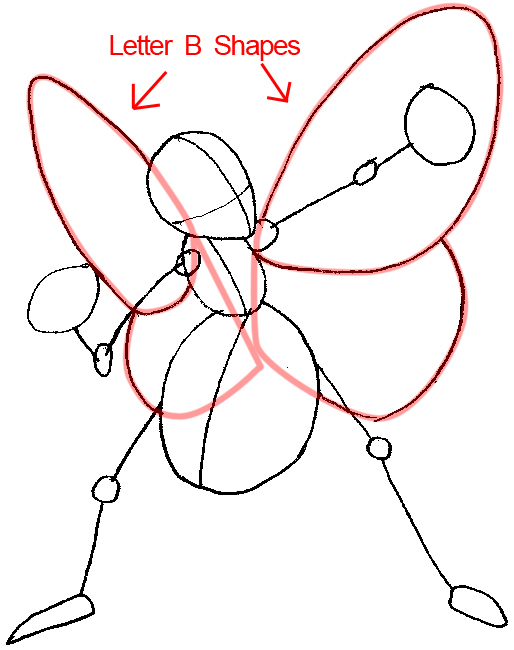 Draw two large teardrop shapes and two small oval shapes at the back for Beedrill’s wings. Keep in mind that they should look like butterfly wings. Also notice that the wings look like letter ‘B’ shapes (I highlighted them in red). Draw two thick lowercase letter ‘r’ shapes on top of the head for the antennae, and two ovals for the eyes. 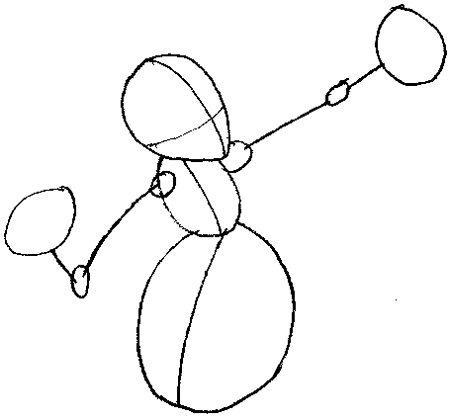 Draw some muscle in the guide arms and legs. 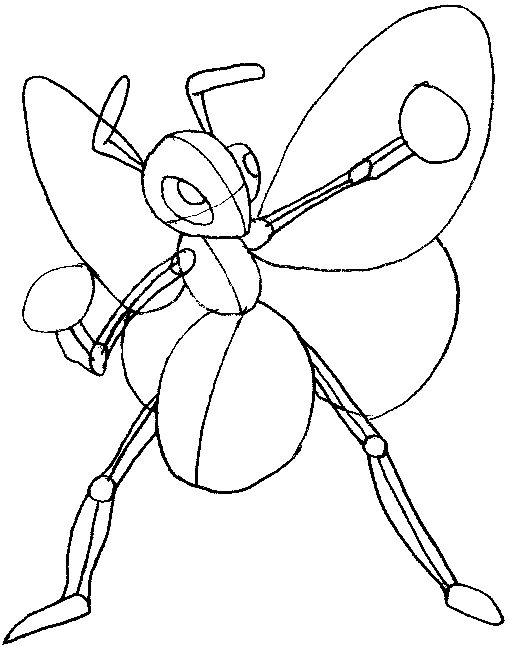 Make sure to keep Beedrill’s arms and legs thin and insect-like. 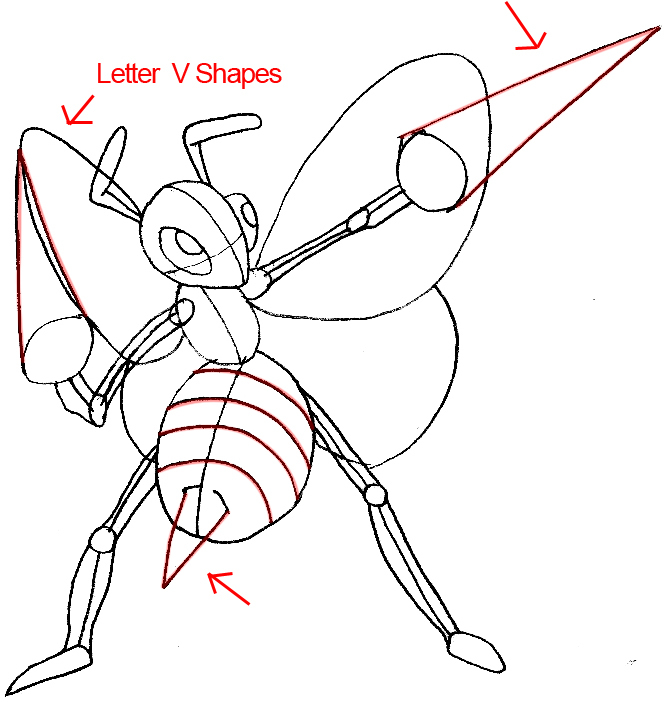 Draw some stripes on the large oval and “V” shapes at the hands and bottom for the stinger and drill. Draw some miscellaneous lines at the wing to make it more insect-like. I pointed out some letters that I see in the shapes of the lines. I hope this helps you. Erase your guide lines and you’re done! I hope that your Beedril came out just like the real one. Come back for many more Pokemon drawing tutorials. Thx this turned out better than I thought. Keep it up.